What do millennial travelers want in a vacation? 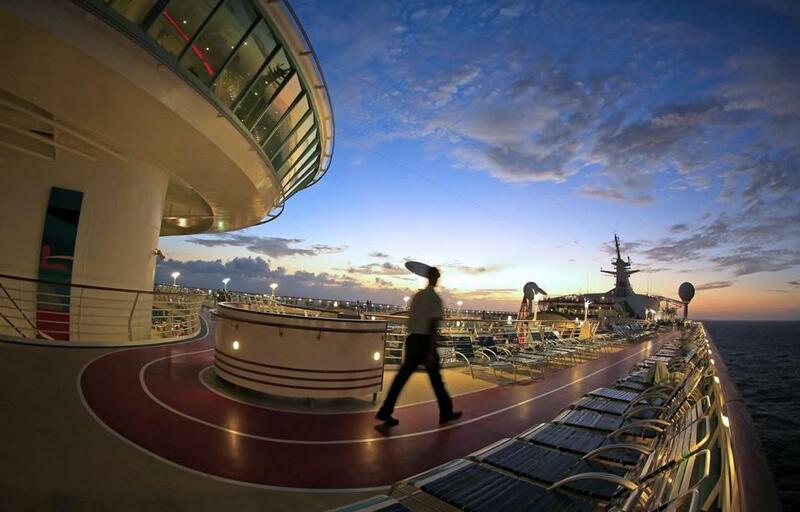 Cruising is becoming a popular choice among millennials for vacation. How much vacation time do millennials take each year? What stresses them most about traveling, and what motivates them to travel? How do they want to spend their vacation time? These are some of the topics addressed in a first-of-its-kind study recently conducted by the American Society of Travel Agents. The “How America Travels” study, which is being unveiled in conjunction with National Travel and Tourism Week, May 7-13, includes a survey of more than 1,500 US travelers, designed to reveal how millennial travelers (between the ages of 25 and 39) differ from past generations. So, where’s the puck going to be? Here are four top findings. A whopping 80 percent of millennials surveyed took at least one leisure trip in 2016, usually more. Results showed that millennials took an average of 2.38 vacations in 2016, whereas Gen Xers (ages 40-51) averaged 1.80 and baby boomers (ages 52-70) averaged 1.65. In other words, the average millennial took 32 percent more vacations than the average Gen Xer, and 44 percent more than the average baby Boomer. Millennials, especially men, also travel more for work; 57 percent of male millennials took at least one work trip in 2016, compared to 27 percent of female millennials. Work, family, friends, and hobbies keep millenials busy! It’s no wonder the desire to “relax” (64 percent) and “spend quality time with family” (59 percent) were cited as reasons to travel by a far higher percentage of travelers than any other reason. Coming in third was the desire to “see natural sights” (38 percent). The desire for more meaningful, off-the-radar travel experiences is a common thread heard throughout the industry. Millennials also want to stay connected . . . to the Internet. More than half of millennials (52 percent) say the availability of free Wi-Fi in a hotel “plays a big role” in their decision whether to stay at that property. If you thought cruises were mostly for retired seniors, you’re wrong. Millennials are the new face of cruising: 27 percent of millennials say they take at least one cruise in an average year, compared with 12 percent of Gen Xers and 14 percent of baby boomers. On average, millennials cruise 2.5 times more often than Gen Xers and baby boomers. Interestingly, millennial men cruise twice as frequently as millennial women (0.61 cruises per year on average for millennial men compared to 0.3 cruises average for millennial women). And, it looks like it’s working, because satisfaction is high; 90 percent of millennials who have cruised said they liked cruising, and 61 percent said they “strongly like it.” By comparison, a still-high 86 percent of Gen Xers and 77 percent of baby boomers who have gone cruising say they like it. Those who have cruised are most likely to cite “the crowds” (33 percent) as one of their “least favorite” aspects of cruising. The use of travel agents among millennials — the young, tech-savvy, DIY generation — is up. They realize the drawbacks of booking their own travel, and are beginning to seek out advisors for their expertise. The survey shows that millennials work with travel agents to improve the quality of their travel experiences, not to only handle the logistics. For example, only 38 percent of millennials have used an agent to book plane tickets (versus 49 percent of Gen Xers and 55 percent of baby boomers). Instead, the survey showed that millennials are more apt than older generations to use agents to organize tours, recommend activities, and to create custom experiences with exclusive perks. Apparently, it’s working. Of those who have used an agent within the past 10 years, 81 percent said they were very or somewhat satisfied.